Did you purchase a software program that you’re not happy with? Was it just not what you were expecting or difficult to use? Then you may qualify for a full refund* of the purchase price depending on where and when it was purchased. We’ve gathered all the refund policy details for many of the stores that we track deals for. See below for the full list broken down below by the time you have to return an item. Costco – They have one of the best return policies. You’ll have a full 90-days to test out your software order and still be able to bring it back to your local Costco warehouse store or send it by mail if purchased at Costco.com. In some cases, they may even honor returns that are older than 90 days if you’re having difficulty with your purchase. See their full return policy for more details. Intuit (TurboTax, QuickBooks or Quicken) – If you’ve purchased any product from Intuit.com, then you have a full 60 days to request for a refund. Their refund policy is also extended to TurboTax, QuickBooks and Quicken orders made at authorized 3rd party resellers. Some versions will require you to physically return the product while others, including QuickBooks Pro, Premier and Enterprise software, will be deactivated remotely when your refund is processed. Be sure to read their the instructions found in their return policy to help start the refund process. Symantec (Norton) Perpetual Licenses – Perpetual licenses (with a few exceptions) have a 60-day money-back guarantee. Shipping, handling, and taxes will be refundable if required in the country/state that you live in. Read the details found in Norton’s return policy. Adobe – You are protected by a 30-day return policy on all CS6 and Creative Cloud orders. If you’re looking to cancel your Creative Cloud membership after 30 days and you are on an annual contract term, then you will be responsible for paying 50% of the remaining contract. Adobe does not accept returns for products purchased from 3rd-party resellers. AVG – AVG offers a full 30-day “no questions asked” money back guarantee for all home and business products sold at avg.com. After 30 days they won’t provide any refunds but they do have 24/7 technical support that can help troubleshoot any technical issues. If you purchased your copy of AVG at any of their resellers or distributors than you will be bound to that stores return policy. Cyberlink – They offer a full 30 day return policy for all items purchased through the Cyberlink.com online store. You will need to contact their customer service center to begin the refund process. Just note that with the cancellation you are renouncing the right to use the software and must delete any installed versions from your computer. Kaspersky.com (USA) – When ordering from Kaspersky.com, you’re covered by a 30 day money back guarantee from your order date. To start the process, follow the steps outlined on their returns page. After your return is processed, you’ll need to uninstall your Kaspersky software form your PC or Mac. Your funds will be returned to your credit card about 5 to 7 business days after you receive your return confirmation. 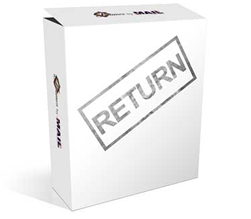 OnOne Software – All digital or boxed software orders purchased from Ononesoftware.com come with a 30 day refund guarantee. Excluded are OnOne Marketplace orders and those made from resellers. Learn more. Parallels.com – They have a 30 days return policy on all Parallels Desktop for Mac, Parallels Workstation and Parallels Server products purchased from the Parallels store. They will not accept any retail outlet returns so you’ll need to take those back to the store were purchased (if they have a return policy). Symantec (Norton) Subscriptions – All monthly subscriptions on either an annual or monthly contract term are completely refundable for up to 30 days from the purchase date, but orders sold directly from will qualify. Nolo – If you purchased your Quicken or Nolo software at the Nolo.com store, then you will need to follow these instructions to request for a refund. Refunds are only given on a case-by-case basis and government filing fees can not be refunded. We could not find a specific refund policy listed or refund time frame window so you will need to talk to customer service to see if your order qualifies. Best Buy – They will not accept refunds on opened computer software. If it’s not opened, you might have a chance to return it but will only have 15-days from your purchase date to bring it back to them. See the full policy listed here. Journey Ed – We placed Journey Ed into the “no returns” category even though they have a very limited one in place Their refund policy is so restrictive that most orders will not qualify for one anyway. From those order that do qualify, you’ll have 14 days to make the request and your software box will have to be unopened. All electronic software download orders (ESD) do not qualify for a refund. See Journeyed.com for full refund policy details. Office Depot – No returns are accepted for any software that has been opened, tested, or installed. If the box is opened, then you may only request an exchange for the same product within 14-days of purchase. See their official return policy on software at OfficeDepot.com. Staples – No returns are accepts on opened software boxes or any digitally downloaded software orders at a Staples store or at Staples.com. Unopened “in new condition” physical software purchases fall under the standard 14-day return policy and must be accompanied by an original receipt of purchase. VMware – VMware does not offer not returns unless the product itself is somehow defective. Because 30 day trials of all their products are available, be sure to test out Fusion, Workstation, or any of the other versions prior to ordering to see if it right for you. See the VMware return policy. * This page was last updated and verified on May 25, 2013. Return policies can change at anytime at the individual software retailers own discretion. We recommend you become familiar with the policies currently in place at the store you wish to purchase at before you complete an order.